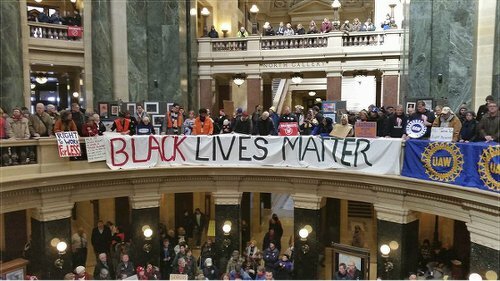 Black Lives Matter activists stand with unions in Madison in February. On March 9, Gov. Scott Walker of Wisconsin signed the “Freedom To Work” bill, which made so-called “right to work” legal in a state which has had a closed-shop labor law since the militant battles of workers and their communities won that concession in the 1930s. The right-to-work-for-less (a more accurate name) law follows Wisconsin’s Act 10 of 2011. The right-wing legislature is now gearing up to potentially gut laws such as the prevailing wage, project labor agreements, workers’ compensation and others. Moments after Walker signed the RTW law, hundreds of students of color and white working-class students and youth engaged in a sit-down in the streets of Madison and later briefly occupied the state Capitol. They were responding to the police murder of Tony Robinson, a 19-year-old African American killed in Madison on March 6, as well as the ongoing austerity inflicted on their generation by Wall Street, Walker and the cops. Besides a few individual union members, organized labor was absent during this protest. This was despite organized labor having received mass statewide support from youth and student organizations — such as the Young, Gifted and Black coalition in Madison — during the RTW and Act 10 fights. 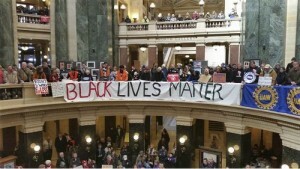 Although there are notable exceptions by some unions and labor-oriented organizations, such as the Milwaukee Teacher Education Association, Wisconsin Jobs Now and Voces de la Frontera, the overall pattern of organized labor in Wisconsin has been to steer clear of the Black Lives Matter movement and the struggles for justice for Dontre Hamilton and Tony Robinson. Led by the Wisconsin AFL-CIO, the unions are not seriously taking up and supporting the issues of the oppressed — specifically fighting racist police terror and killings. This is a central reason why unions find themselves being pummeled. 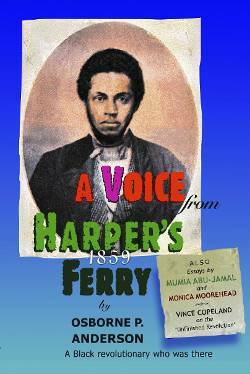 Black people in Wisconsin have faced semi-apartheid, genocidal-type conditions for decades. The unions, however, have been largely silent when it comes to speaking out against racism and supporting the struggles of the oppressed. Walker and other Wall Street political servants have been able to take advantage of this, utilizing racist electoral campaigns and other programs modeled on the “Southern strategy” of pitting white workers against their allies in the oppressed communities. Other major reasons for the Act 10 and RTW defeats are organized labor’s support for and deference to the Democratic Party and lack of an internationalist, class-conscious ideology. Because of this, working-class combat tactics and strategies, rooted in workplaces and communities, are minimal. And although there were protests, sometimes with thousands at the state Capitol in opposition to RTW, they were mainly a defensive response to the unfolding austerity. Despite Act 10 and RTW being passed in Wisconsin, Michigan and other states, along with other vicious attacks on unions in Indiana, Illinois and elsewhere, the Wisconsin AFL-CIO and the national AFL-CIO have relied almost exclusively on narrow trade union tactics that have been ineffective for many years. Hundreds of thousands of union members are just a few hours away from or close to Madison. But the national AFL-CIO sent out emails directing members to contact Wisconsin legislators to try to stop RTW, instead of directing those members to shut down Madison. The call for a general strike or “stand still” both in 2011 and during the RTW fight was rejected outright by the majority of union leaders. This call was proposed by a leader of the Machinist’s union, Defeat Right To Work In Wisconsin and the Wisconsin Bail Out The People Movement (wibailoutpeople.org). In efforts to defeat RTW, various private-sector unions engaged in “coalitions” with their class enemies — the trade and construction companies — instead of with community organizations. Instead of mobilizing broad-based, union-community efforts to reverse Act 10, the majority of private- and public-sector unions in Wisconsin urged their members to engage in wasted attempts to pressure Democratic and Republican Party politicians to reverse the anti-worker law. At the very time when every sector of the working class and oppressed is facing brutal austerity and cutbacks — and possibly even more attacks from the right-wing-controlled 2015-17 Wisconsin legislature — the union leadership is sticking to failed business union tactics. Unions could instead mobilize statewide strategies for a working-class offensive, such as shutting down Madison through a “work holiday” or general strike and directing members to support the youth- and student-led movements like Black Lives Matter or the environmental justice and public education battles going on throughout Wisconsin. Even after all the austerity measures implemented in the state since 2011, there was still a fightback spirit from workers wanting to defeat the right-to-work-for-less law. But the unions didn’t channel that opposition into direct action which could have succeeded in beating back RTW. There are many historical precedents in the United States for a militant, union-community, classwide approach, including the Industrial Workers of the World and the Congress of Industrial Organizations in the 1930s. Then socialists and communists played fundamental roles in organizing sitdown strikes, winning unions for workers, stopping evictions and other actions on behalf of the workers and community. Current examples include the immigrant rights movement and the low-wage workers’ struggle, which are often one and the same. 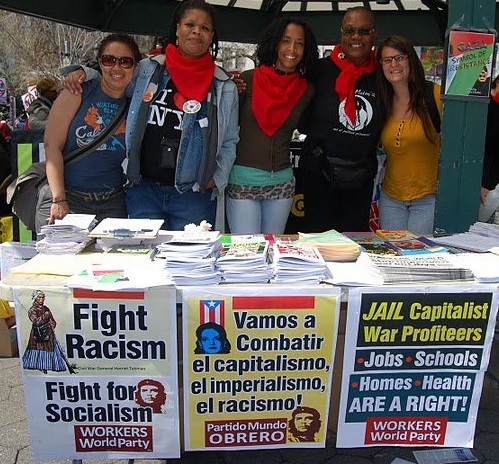 International Longshore and Warehouse Union Local 10’s call for “Union Action to Stop Police Killings of Black and Brown People” by shutting down West Coast ports on May Day is a splendid example of an internationalist, classwide approach and a model that should be followed by unions across the U.S. In addition to job actions, unions should be sending delegations to Black Lives Matter protests and offering every resource they have to the youth and students fighting police terror. Solidarity statements are welcomed and needed, but what’s also useful are union halls and other resources openly available to communities to fight back against austerity. Union halls should be open 24/7 so workers and community activists can organize, hold class-conscious cultural events and offer places of refuge for those fighting killer cops and other outrages. Women, people of color and lesbian, gay, bi, trans and queer people, as well as low-wage and unemployed workers, have the knowledge, creativity and yearning to struggle against the ruling class, and should be welcomed by the unions. These sectors of the working class could be hired as union organizers; in turn, they could assist in elevating leadership from the most oppressed communities. Unions need to support all progressive struggles in Wisconsin, not just attend their own protests. Organizing independently of the two capitalist political parties into formations such as the Southern Workers Assembly, where all organized and unorganized workers are welcome, should be supported by the unions, which could play a central role in the development of these organizations. Unions could co-sponsor with community groups mass educational events explaining to union and community members how unions and progressive laws were won in Wisconsin, and why it was necessary to fight the capitalists in order to win collective bargaining, workers’ compensation and many other rights that are fast being stripped away by Wall Street and its political servants. The Wisconsin AFL-CIO could sponsor mass union delegations to May Day and Dr. Martin Luther King Jr. Day actions — and not just mobilize for their own events like Labor Day. Ben Herrenbruck, a Milwaukee Area Technical College student and member of FIST (Fight Imperialism, Stand Together) from Milwaukee, has participated in numerous Black Lives Matter and anti-RTW protests in the recent period. 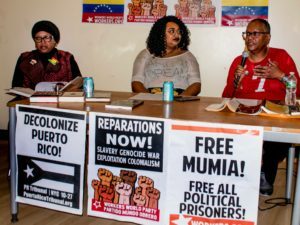 Herrenbruck told WW: “Now more than ever, after the police murders of Dontre Hamilton and Tony Robinson and the passage of right to work in Wisconsin, the need to tie the anti-police terror struggle and all community issues with labor struggles is critical.